Biology is changing the world. For almost four years, STAT has been reporting from the frontiers of medicine like no other publication. Now we are assembling the top executives and researchers, policymakers, and patient advocates to scale the roadblocks facing the biggest medical advances of our time and to identify how to further push the limits of what’s possible for human health. Join our mailing list for updates about Summit programming and speakers! 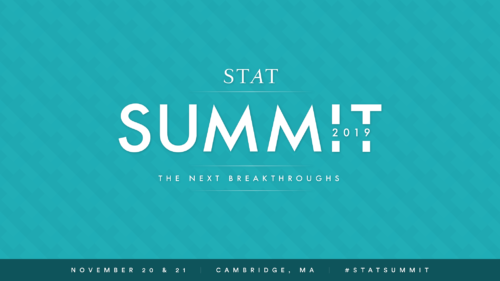 You can also email summit@statnews.com with any questions. Can artificial intelligence fix drug research? Space is limited! Request an invitation now to attend the most impactful health care event of the year and enjoy early bird pricing through June 30, 2019.